Many children want to dress like their favorite superheroes and to be like them. Movies, cartoons and comic books have greatly changed our culture and, as a result, the way children relate to the main characters. This is why costumes are so popular. In order to help you buy one for your children, we have reviewed some of the most appreciated products currently available for sale, taking into account customer opinions as well as product specifications and lists of children’s favorite heroes. Read our reviews to get an idea of what to look after. Following the success of the Dark Knight Rises installment in the Batman film series, more and more children want to wear the hero’s costume. Rubie’s Costume Company provides one of the most accurate and affordable replicas of the outfit worn by the main character. 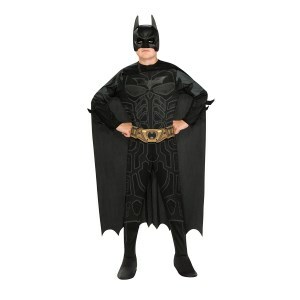 Providing a printed jumpsuit with attached boot tops, cape and mask that were designed to carefully replicate those worn by Batman, the costume offers realism and your children will have great fun wearing it at themed parties or move previews. It is also pretty affordable too, and since it is complete no other accessories will have to be bought. The size is approximately equivalent to USA children size 14 to 16. 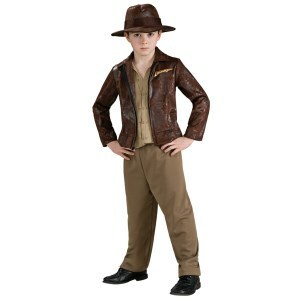 Indiana Jones is one of the most popular childhood heroes of many children worldwide, so many would want to wear his outfit and accessories. Now, there are many accurate replicas of his clothes, but one of the most appreciated products out there is manufactured by Rubie’s Costume Company. The costume carefully mimics the original Indiana Jones outfit. It is made out entirely of polyester and includes a deluxe jacket, and an attached shirt, pants and hat. The purpose of the suit is to give the children the feeling of being in the action movie, so it is realistic and true to life. The producers recommend hand washing it in cold water without bleach. 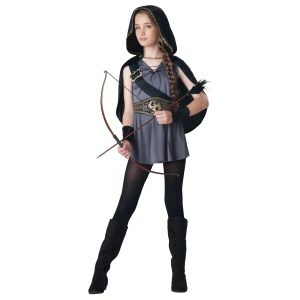 This medieval-themed costume is not necessarily related to a movie or video game, being made for girls who want to recreate a historical scene. Created by InCharacter, it is currently one of the more appreciated and accurate depictions of old outfits for children. Included in the package are a hooded cape and a dress, together with a cord for dress lacing, a shoulder strap, gauntlets, and belt. It does not come with boots or other accessories such as toy arrows or bows, swords, and others. The product is available in three sizes – small, medium and large and this is a girls-only version. This robe, designed and manufactured by California Costumes, is meant to replicate witch costumes as seen in movies, books and cartoons popular amongst children. It is dyed in black and red, colors preferred by actors interpreting witches. Polyester is the only material used while creating this costume. The long sleeved black robe has contrasting sleeves and panel, dyed in red, and a satin black lace-up ribbon. It does not include the choker and shoes shown in the presentation images, but the robe has an attached hood that does not have to be bought separately. The suit is great for Halloween or other horror-themed parties and occasions. Another historical themed costume is this ancient Roman princess outfit that replicates the type of clothing worn by the ruling elite of the former empire. Produced by California Costumes, it is appreciated for the accurate recreation of the original dresses and accessories worn back in the day. 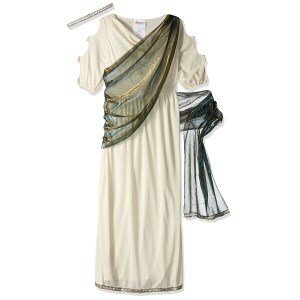 A 100% Polyester long dress with attached sheer drape is provided in the package, as well as a headpiece. Your daughter becomes an elegant lady from the Roman elite by wearing this suit and by adding extra accessories such as bracelets, which are not provided in the package. The costume is a high quality one, manufactured with care and attention to detail. Perhaps the widest spread costumes are the classic black reaper ones. 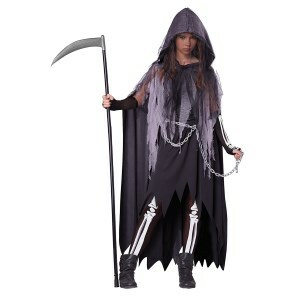 The depiction of Death in most animated cartoons is shown wearing it, and, as a consequence, the outfit is extremely popular amongst girls who want to dress up for Halloween. Again, the only material used for the costume is polyester. It includes a black dress with a waist chain, and a cape with attached hood is also provided. The glovelettes and tights are printed with a bone pattern, as seen in many depictions of the original character. The characteristic scythe is not included and can be bought separately, and neither are the shoes. Following the success of the film, more and more girls wanted to dress as Wonder Woman, one of the most popular characters of its type. Featuring a high-quality manufacture provided by Rubie’s Costume Company, a company with more than 60 years’ experience in the field, the outfit is a perfect gift for your daughter. 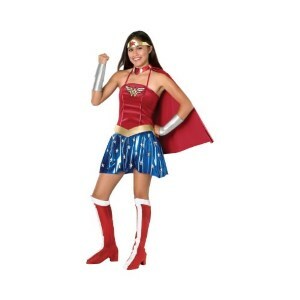 The costume features a dress with the Wonder Woman logo on the chest, a collar with a cape, a headband, wrist cuffs and boot tops, making it a complete outfit that requires no further accessories. The teen size jacket fits sizes 25-30 or dress sizes 2-6. It is made out of polyester and can only be washed by hand, to prevent damage. Dressing up in costumes is quite fun and is the main reason why children of all ages love Halloween. They get to be in character and make up all sorts of jokes and lines while having fun going trick-or-treating the neighbors. 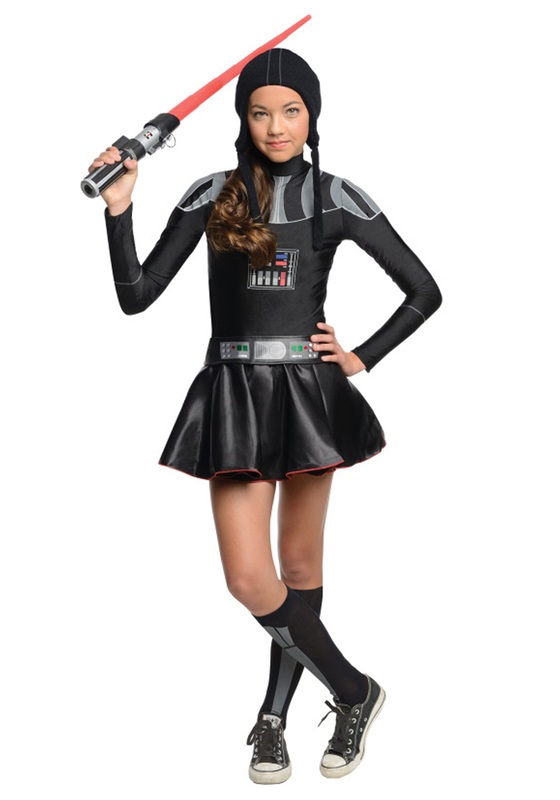 If you are a parent, then you already know how important it is for a tween to have ideal costumes that are unique and original. Therefore, your search for cool Halloween costumes for tweens becomes a hassle and you can barely manage to find something nice at the last minute. It’s not an easy feat to please a tween because they are in a phase where they discover their personality traits and might accidentally take advantage of their parent’s vulnerability. All kids want an awesome costume to go and brag to their friends, but the idea is that you shouldn’t pay a large amount of money because each year they want to wear something completely different than the year before. This is why you should learn some useful tips that show what to look for in your hunt for the spookiest Halloween costumes for tweens. Even though you know your tween quite well, it is perfectly normal to run out of ideas because they get bored easily and want to wear outfits that are trendy and scary at the same time. If you decide to consider the next details, you’ll most likely end up impressing your child with an excellent Halloween costume. 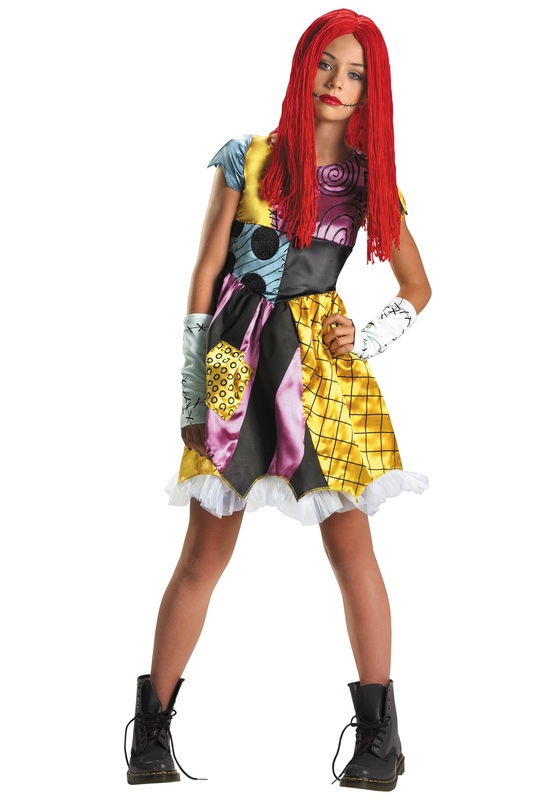 The first step in finding scary Halloween costumes for tweens is to establish how much you are willing to spend. It is advisable to consider accessories as well because most specialized stores offer standard costumes that don’t include shoes, hats or masks. You always have alternatives if you plan your steps ahead of time. Weeks before Halloween, you should already have some sort of clues from your tween regarding the costume theme they want to go with this year. Try to make them give you some hints because this way you might even catch something for sale that is made from quality fabrics and not so pricey. In addition to getting your hands on high-quality material, there is always the issue of the right size. If you wait until the last minute, it might be difficult to find a proper size and barely have time to make modifications to the costume. Do your best and plan wisely so that you don’t have to largely increase the budget. For instance, there are many retailers on the market that offer huge discounts for good Halloween costumes for teenage girls, and if you manage to find a great deal, you end up saving money that you can invest in other important things for your child. Tweens are known for having a fashion style that can’t be changed no matter how hard you try. If their friends or colleagues at school start a trend, all they want to wear is similar clothing items. It’s not easy to understand their choice for Halloween costumes, but you can still give them suggestions on whether or not they look good in certain clothes. If you plan on going shopping take your tweens with you because it’s them who are going to wear the Halloween costume in the end. Take their opinion into consideration and try to get to a compromise if somehow you don’t have the same fashion sense. Halloween costumes are worn once a year and then thrown away in the back of the closet and left there. But you can be more clever than that and look for clothes that are practical and can be transformed into costumes for other school parties or talent shows. This way, you save money and benefit from one outfit during the entire year. If you want to use them more often, choose products that come in separate pieces or ones that offer different accessories. For example, a costume that comes with a princess dress and a tiara can be easily worn as a party dress for Christmas while hats and masks can complete a masquerade ball. You’ve got many options, and each alternative can be updated so that the outfit looks different at every occasion by adding a scarf or a belt. Tweens are hard to please, but if you know how to do it properly, you’ll become the number one parent overnight. Keep in mind that the most praised attribute that a Halloween costume must have is originality. Just like toys, pencils and book covers, kids want something that none of their peers have. With this thought in your mind, if you really want to make your child proud of you, browse the internet for DIY Halloween costumes ideas. There are tons and tons of websites that teach you everything you need to know about and what fabrics and sewing tools you need. Many of them provide tailoring patterns for advanced users. You don’t need much talent because they show you step by step and describe each procedure. Besides, all the accessories and fabrics that you need you can easily purchase from a store specialized in sewing tools and supplies. If you don’t have much time to spare, there are online videos that explain how to customize clothing items from the closet and make them look funky and unique. Once you start, you can invite your kids to take part in the making-of process. Just imagine the fun, and the creativity flow all of you will have. Group activities are best because they give you the chance to spend some time together and make your tweens a Halloween costume exactly as they desire. In the end, all of their friends will come to you and ask for costumes. You can even start a new hobby once you gain some experience and create a small business if you have some free time. You never know!